John Neville, president of our umbrella organization BC Nature (Federation of BC Naturalists), will visit Merritt and give a presentation “Raptors of Canada” on 10 October (7 PM at the NVIT lecture theatre). John is a renowned recorder of nature sounds and his bird-song recordings have been birders’ favourites for many years. His multimedia presentation on birds of prey features his sound recordings and also many images by world-famous artist Robert Bateman. This is one event you should not miss. John will also have a selection of his nature sound CDs for sale. 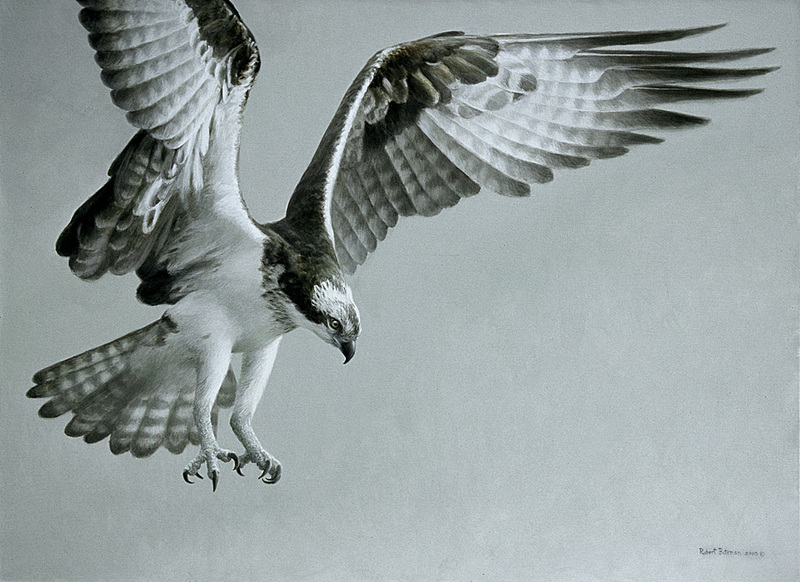 Osprey – © Robert Bateman. This is one of the images by Robert Bateman and others that John Neville will be presenting, along with his excellent sound recordings, in his presentation on the Raptors of Canada. Note that this special presentation is on Wednesday and not our usual Thursday date.